Drawing inspiration from a previous project in the Research Triangle, communities around Asheville are joining forces. The goal is high-speed Internet access. West - Next Generation Network (WestNGN) is a multi-government collaboration in the Asheville area to encourage investment in fiber-optic networks for Gigabit (1,000 Megabits) connectivity to the region. The Research Triangle, the area around Raleigh, Durham, and Chapel Hill, started a new collaborative model to bring Gigabit connectivity to their communities. Six municipalities and four universities there established the North Carolina Next Generation Network (NCNGN). The project encourages private sector providers to develop ultra-fast networks. 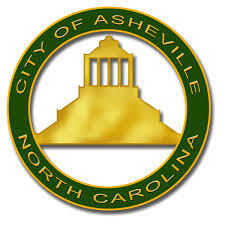 The Land of Sky Regional Council is an Ashville-based multi-jurisdictional development organization that includes Asheville, Biltmore Forest, Fletcher, Hendersonville, Laurel Park, and Waynesville. The Land of Sky Regional Council will provide project management by setting up a steering committee, analyzing regional data, and drafting a Request for Proposals (RFP) for Gigabit service. The group hopes high-speed Internet service will boost economic development. They want to reach 125,000 customers south and west of Asheville. As Smoky Mountain News reported the project costs for the first year total $35,000. Each community will pay $4,000 and then contribute proportionally based on population. For instance, Asheville will pay $11,893, and Waynesville will pay $4,877. Waynesville is the seat of Haywood County, which is working to improve connectivity by developing a broadband master plan. While the Haywood County Economic Development Council’s planning focuses on opportunities for the county, Waynesville is collaborating with communities in nearby counties through the WestNGN project. “It allows our local units of government to apply leverage to the private sector to further deploy broadband, especially to areas that wouldn't get it otherwise or that wouldn't see it. ... Most of those areas are not the areas we focus on in terms of employment or industrial development, but I think it's a wise move. I think it's an awesome opportunity for local governments to collaborate with one another and look for an opportunity to improve the region."